﻿ Place2Stay @ Riverside, Kuching | FROM $11 - SAVE ON AGODA! 6 travelers have booked today. Have a question for Place2Stay @ Riverside? "Reasonable price with good value for money." 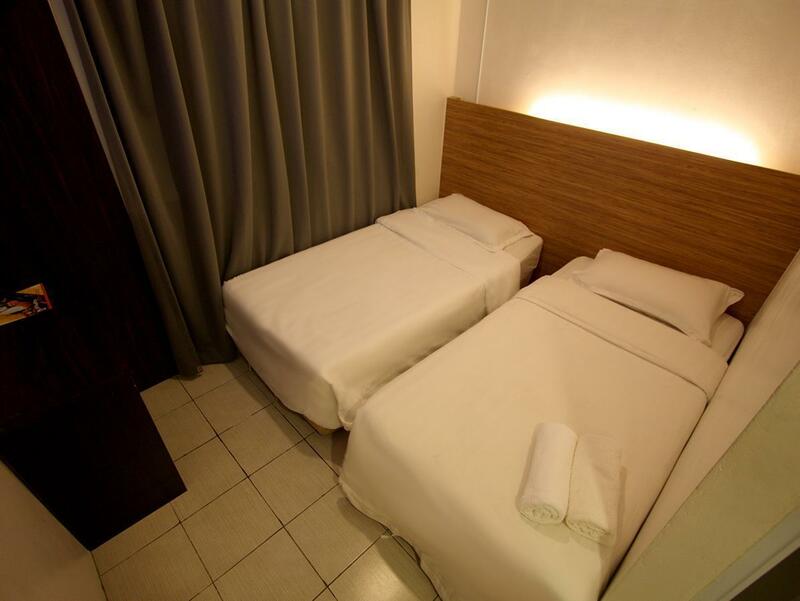 "The room is okay for me, food stall very near to the hotel and lots of good place to go near the hotel." 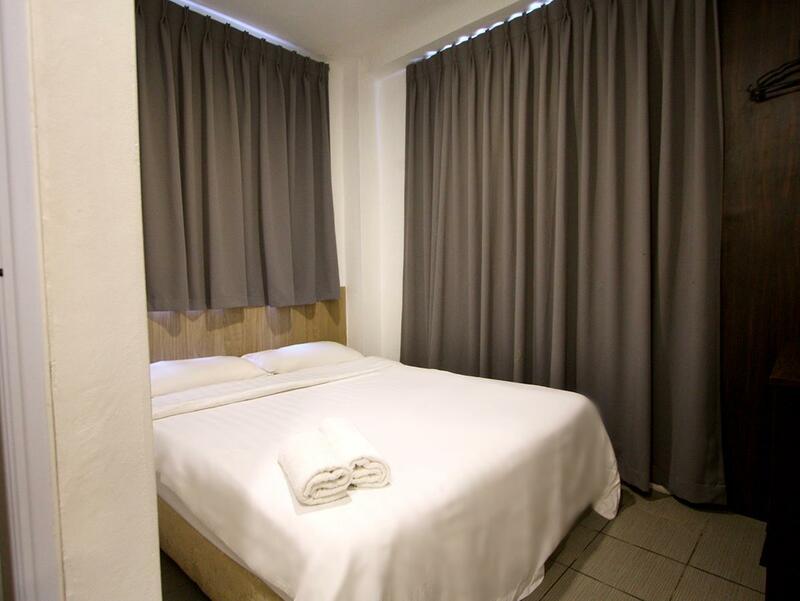 "Pros : cheap, good enough for a night's stay, near most of the tourist attraction in Kuching, has a coffee shop downstairs." 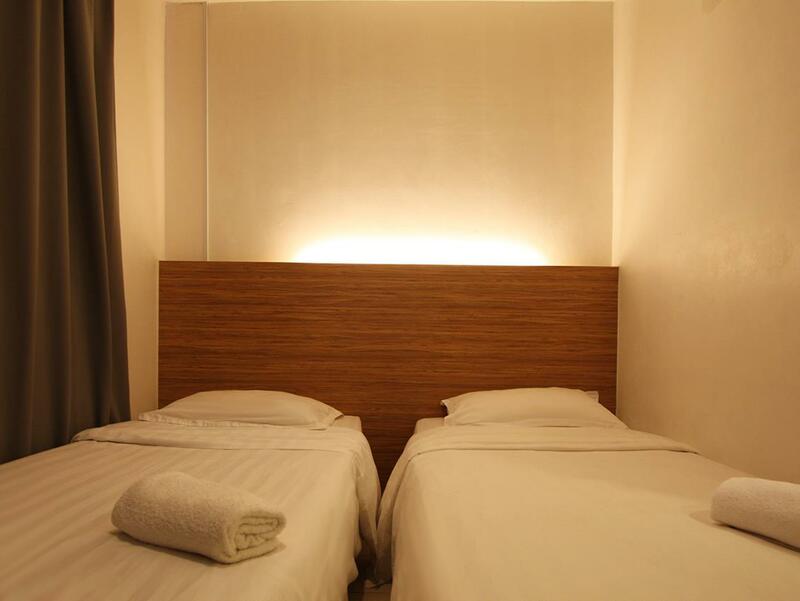 Place2Stay @ Riverside, located in Kuching City Center, Kuching, is a popular choice for travelers. With its location just 4.8 km from the city center and 12.5 km from the airport, this 3-star hotel attracts numerous travelers each year. With its convenient location, the hotel offers easy access to the city's must-see destinations. At Place2Stay @ Riverside, every effort is made to make guests feel comfortable. To do so, the hotel provides the best in services and amenities. Top features of the hotel include 24-hour room service, free Wi-Fi in all rooms, 24-hour front desk, Wi-Fi in public areas, car park. Hotel accommodations have been carefully appointed to the highest degree of comfort and convenience. In some of the rooms, guests can find television LCD/plasma screen, internet access – wireless, internet access – wireless (complimentary), non smoking rooms, air conditioning. Besides, the hotel's host of recreational offerings ensures you have plenty to do during your stay. With an ideal location and facilities to match, Place2Stay @ Riverside hits the spot in many ways. 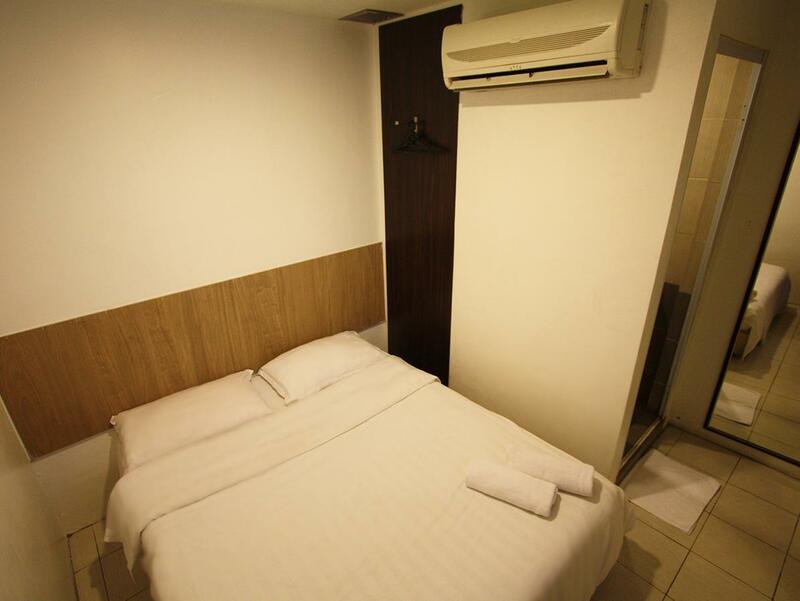 "Good location, great value for money Awesome staff"
Near to Kuching Waterfront. Limited parking space. The surrounding is noisy at night bacause near to pub. The room is vey small. The room should be add on big natural water and 3 in 1 coffee with small water heater. the hotel doesn't have lift,I was given room at 3rd floor.cry 😭😭 the room was small,a/c was functioning well,water in bathroom have smell like haven't been used for ages.but the location are superb. late checkout only rm10 until 1pm.overall,just don't expect much with the price u pay. - the pillow i had was smelly. need to check on that. - 1 bulb were not properly working - tiny roach came out from a toilet, a mothball might help to avoid such insects from getting into the bedroom area. The location, the value of money of hotel pricing, The friendly plus helpful staff (^U^)!!! Basically everything is quite fine! Just a bit noisy for the next door hotel "Air Ventilation" noise but it won't affect mine sleeping mood! Since the hotel is cold and chilled plus with a LED TV accompany me~i mean the Programmed! The staff there really helpful and nice~even help us to call for taxi services (^U^)!!! Very close to the waterfront, 7E and many eateries. Beside the hotel is the best cheese naan restaurant in Kuching according to the locals. 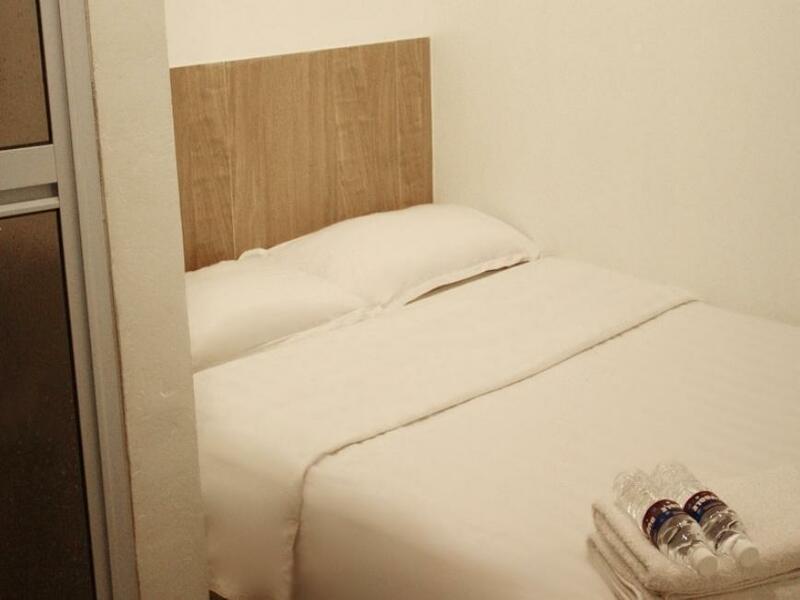 I have always choose Place2stay chain in Kuching due to its affordability and they have TV and hot water as well as big bed for individual visitor like me. However, I notice that the cleanliness of the bed have gotten worse. I think they did not wash their bedding for quite some time. I know friends who work in the hotel industry said that hotel usually do not wash their bedding after every use, but this chain particularly, the bedding feels unwashed for such a long time. My skin is quite sensitive due to eczema and got some reaction from the night i stayed. Overall i still recommend people to stay here but the hotel should improve on this matter. Good for weekeend trip or just a few days. The pillow and bed are not clean, got few hair found on the bed. water leaking from the bathroom to the floor. upon check in no staff come to the counter after press the bell, need to look for staff for check in. Not bad. Suit for them who want just wanna stay for a few days or for a while. Strategic location. The only thing I concerned is using the drinking bottle to refill the shampoo. Please label or use a proper storage to refill the shampoo. It is for safety concern. For the small and cramped hotel room was nothing surprising as it is a budget hotel.. but please, seriously consider to replace the old air conditioning.. or at least, service it properly.. and I believe, cleanliness is one of the core in service industry.. just take some extra care in cleaning the bathroom and bed sheets properly can go a long way... and.. with minimal extra cost too.. don’t just think about cost cutting, cut it wisely or lose out the entire chain.. This hotel located behind Harbor View Hotel and very near to Kuching waterfront and the "chinatown" , all are walking distance and you can see the mural as well nearby. But if you having problem to sleep if there is a sound like people singing or karaoke, then I suggest you dont choose this hotel as there are live music performance every night. But for me it not an issue, I still can sleep. The choice is up to you. OK for a night's stay if on tight budget. Check in was slow. After the stated check in time of 2 pm there were still occupants (at 2.30 pm), said the last twin room we had booked. We had to go out and come back later for the check in. Room was extremely small, and if you big in size, need to get another room. THE ROOM IS DIRTY, BED SHEET, TOWEL ITS LIKE NOT BEEN CHANGE AFTER THE PREVIOUS CUSTOMER. SHOWER ROOM I CAN SEE THE SOAP STAINS ON THE WALL. I DNT KNOW WHAT HAPPEN WITH ALL STAFFS THERE, THEY SEEMS SO RELAX AND PLAYING WITH HANDPHONE, SOME ARE WATCHING TV. I HOPE THE MANAGEMENT STAFFS WILL READ THIS!!! the hotel's area are lack of car park because of the night club around that area and we have to find the car park far from our hotel. it is so disturbing us since our group are women only when we arrive to the hotel at night. i hope the management can solve this matters. tq. Good : Cheap Budget Hotel Bad : 1. Room are too small, 1 steps to toilet, 1 step to entrance door from bed distance. 2. When you ask for window, you may get a small square window 3. No towel available until 7pm, and No Daily Towel Change 4. No Daily Room Cleaning 5. No Cupboard, but hangers only 6. Limited TV Channel 7. No Extra Pillow 8. Room No Sound Proof 9. Bathroom is very small 10. Got Ants in room, so don keep sweet things in the room 11. Bad Pillow Quality, too softs 12, Aircon Remote Not Functioning So aircon are not adjustable Overall : A day or 2 stay is good, but if you are seldom in the hotel, as for me this is 1st and last. no more...be careful when choosing hotel in kuching, if just to sleep only after a long day outing, can be considered. simple and really small room. no table and chair.. inside the room only a bed and a tv. nothing else. plus 2 complimentary bottle on the floor. vicinity can be quite happening at night as some pubs around the corner.